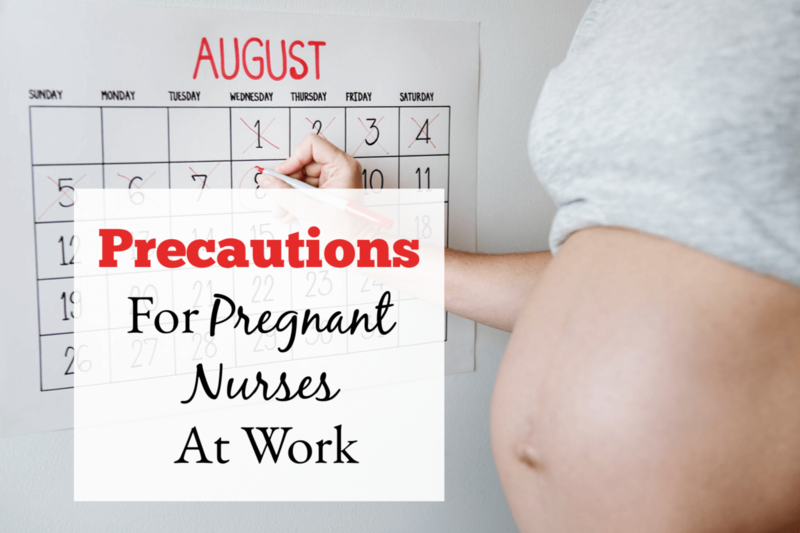 As an ER nurse who delivered my second baby in early 2018, I have done a lot of research about pregnant nurse precautions to be aware of when you work in a hospital. My goal was to make sure that it was safe for me to continue working in such a physically demanding environment with so many potential occupational hazards. Fortunately, I was able to work safely right up until a few weeks before giving birth. As a per diem nurse, I did not have any maternity or disability benefits so I wanted to save up as much money as possible before I went out on leave. Thankfully, I was able to do just that. But safety was still my number one concern. I hope this information can help other nurses stay safe during their pregnancies as well. First off, it is always important that you talk to your doctor to discuss any occupational concerns you have during your pregnancy. Continue the dialog at your prenatal appointments as you move along your pregnancy. If you have questions in between your appointments then contact your doctor. 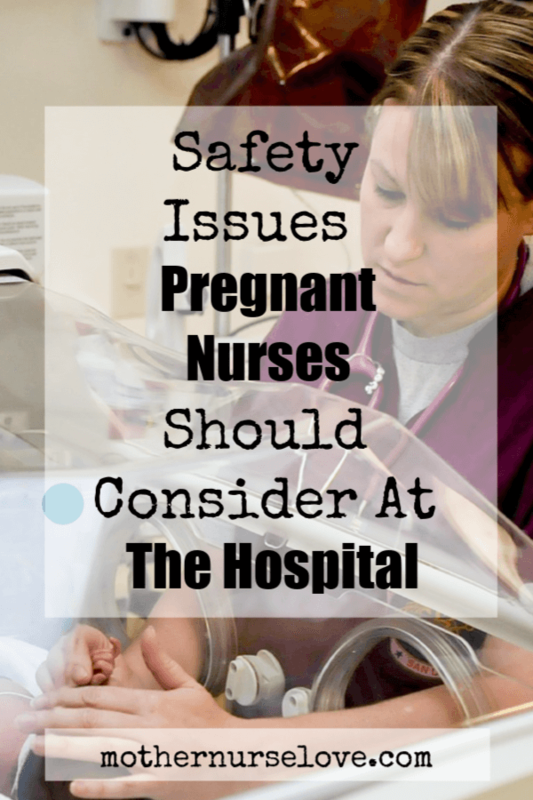 My goal in writing this is not to make pregnant nurses afraid to work in the hospital. I am so glad that I was able to safely work as a pregnant nurse for as long as I did. Still, there are no shortage of occupational hazards for the pregnant nurse within the hospital setting. Working safely is the number one goal. It is crucial that you communicate with management and your charge nurse about your pregnancy. They cannot help you avoid potential pregnancy hazards if they don’t know that you are expecting. In the ER and on most floor units within the hospital, patients often receive portable X-rays at the bedside. So naturally I was concerned about radiation exposure and how it could impact the health of my unborn child. I felt it was wise to air on the side of safety by not exposing myself to unnecessary radiation during pregnancy. If you are in an area where x-rays are being taken, you must wear a lead radiation apron to protect yourself, especially if you are within six feet of the machine. If possible, it is also a good idea to step outside the room while the image is taken. In my nursing experience, x-ray technicians usually notify anyone within the vicinity of where imaging is being taken. I was able to leave the area for a few minutes, whether I was wearing a lead apron or not. There is evidence that handling some medications, such as chemotherapy drugs, can cause adverse reproductive outcomes including fetal loss, miscarriage, infertility and preterm births. In addition, it may cause learning disabilities in babies exposed to some drugs if nurses are exposed during pregnancy. Wearing protective equipment, such as gowns, masks and gloves can minimize occupational risk to a pregnant nurse. However, it does not completely eradicate it. Nurses working in oncology or other areas where antineoplastics are prescribed may want to speak with management about the safest way to continue working. In addition, you can insist on getting help from co-workers or management to give teratogenic medications to patients. Moving to another work area may be a consideration if safety for the fetus is still a concern. 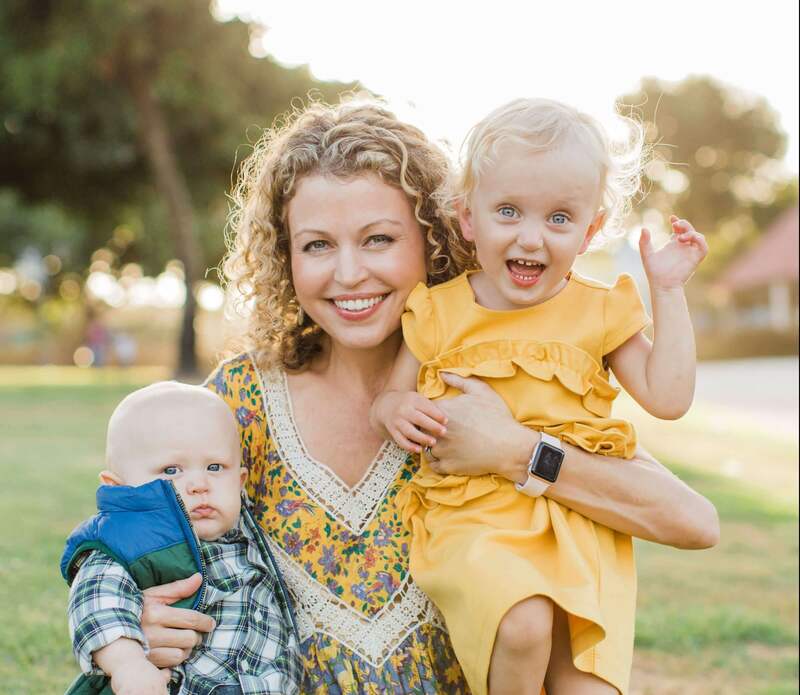 As a pregnant ER nurse I was very concerned with the risk of infection from patients such as c-diff, tuberculosis, cytomegalovirus, and influenza during my pregnancy. Since the ER is often the first stop in the hospital for sick patients I often didn’t know that a patient had a contagious infection until after they had been admitted. By then it was too late to protect myself if I hadn’t already. Pregnant women need to be especially proactive with protective equipment and hand hygiene. It is ideal for all hospital employees to have their measles, mumps, and varicella zoster vaccinations before pregnancy (most facilities require these vaccinations to work anyway). Hep B and influenza vaccination can also safely be administered during pregnancy. As an added precaution, I made sure to change my clothes and shoes before leaving the hospital to minimize the risk of work-to-home contamination. The first thing I did upon getting home was take a shower to rid myself of any other possible bugs I could have inadvertently carried home with me. Being a nurse while pregnant is especially hard work. Not only are we on our feet for up to 12 hours a day, but pregnant nurses are also carrying an extra 25-plus pounds towards the latter part of pregnancy. Additionally, the extra girth makes it significantly more difficult to fit into tight spaces. Movement becomes even more awkward for pregnant nurses due to having an altered center of gravity. In addition, high serum levels of progesterone and relaxin loosen muscles, ligaments, and connective tissues. For nurses who do a lot of heavy, repetitive work requiring lifting, pulling or pushing their risk of musculoskeletal injury is increased. It is wise for pregnant nurses to use patient transfer equipment and to ask co-workers for help with moving patients. However, if your work situation is still too physical for you to manage safely during pregnancy, you may want to consider a modified duty in a lower risk setting with a less physical patient load. On another note, pregnant nurses also have a higher risk of developing varicose veins due to an increase in total blood volume caused by pregnancy. The added blood volume combined with being on one’s feet all day leads to poor circulation, puffy legs and swollen ankles. Compression socks or stockings can help reduce the risk of blood clots and varicose veins as well as prevent swelling. I worked in our ER psychiatric hold area several times throughout my pregnancy. There were a few incidences where I had patients verbally threaten me and/or begin to escalate towards violence. I always had a security guard with me and I stayed a good distance away from patients when I felt that my safety could be at risk. It is likely that I was overly cautious at times, but it is better to be safe than sorry. Violence against nurses is not uncommon, especially in the ER setting. Stay vigilant and keep away from any potentially threatening situations. If a patient is escalating towards violence then leave and call for help immediately. The CDC recommends that pregnant women get a flu shot. Not only do hormone changes during pregnancy often make pregnant women more susceptible to getting the flu, but a common flu symptom is fever, which may be associated with neural tube defects and other adverse outcomes for a developing baby. Getting vaccinated can also help protect a baby after birth from flu through passive immunity. My experience: The flu season in December 2017 was unusually bad. Many patients came to our ER for flu symptoms. Unfortunately, almost every nurse was infected with the flu or a cold at least once during the season. Myself, included. At the time I was over 8 months pregnant and I was really struggling with a how horrible I felt. I always get a flu shot to reduce my chances of getting sick during flu season. However, if I ever got pregnant again, I might consider starting my maternity leave towards the beginning of flu season. Especially, if I was that close to my due date. One of the best gifts that pregnancy gave me was that it forced me to not be sedentary on days that I felt really tired. (Although while you are carrying an extra 25-35 pounds of extra weight, you may not consider it a benefit). Many studies show that not moving enough during pregnancy is bad for both mom and baby. If fact, exercise during pregnancy can actually boost your baby’s brain development and make them smarter. Who knew that working a 12 hour shift might actually promote health for both you and your unborn baby? Good luck to you during your pregnancy and take care of yourself mama! Excellent article, comprehensive and very useful. Thank you for the positive feedback Anne!